The Zionist Left bloc, comprising of the Labor party with 6 seats and Meretz with 4 seats gets a total of ten seats or 8.3%. As President Rivlin has pointed out, these results may be perceived as showing the will of the Israeli electorate for a National Unity Government by the 75-seat Zionist Center bloc. However, the egos involved and the different affinities to certain voters such as Sephardi and Ashkenazi, secular and traditional, etc. make this both politically impossible and undesirable as far as the majority of Israelis are concerned. With that in mind, the new ruling coalition in Israel will be very similar to the old one and will comprise of the Likud, the ultra-Orthodox, the economy-centered Kulanu, and the Zionist right, for a total of 65 Knesset seats. These recommendations have already been made to President Rivlin, who will most assuredly task incumbent PM Benjamin Netanyahu with forming the new government. The president’s choice is made even less complicated by the fact that while the Likud and Blue and White got the same number of Knesset seats, the Likud won just over 15 thousand more votes than its nearest rival. The job of building a coalition will not be an easy one, since some of its members have diametrically opposing agendas. 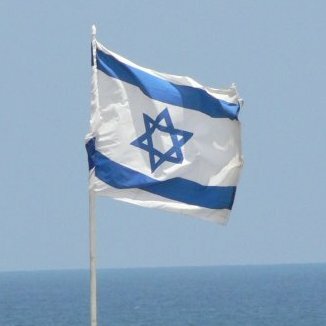 The most bitter disagreement exists between Israel Beiteinu, a party that represents highly secular and non-observant repatriates from the ex-USSR, and the ultra-Orthodox factions. These disagreements run the gambit from public transport on the Sabbath to the crucial issue of ultra-Orthodox permanent military service deferrals, an issue that always seems all but intractable. That being said, no other coalition is remotely possible and a new election is unthinkable, so a way must and therefore will be found to form the new government. Netanyahu will have 45 days to do so once officially tasked by the president. Should he fail, a 15 day extension may be granted, which means that we are at most two months away from the swearing in of the new Israeli government.